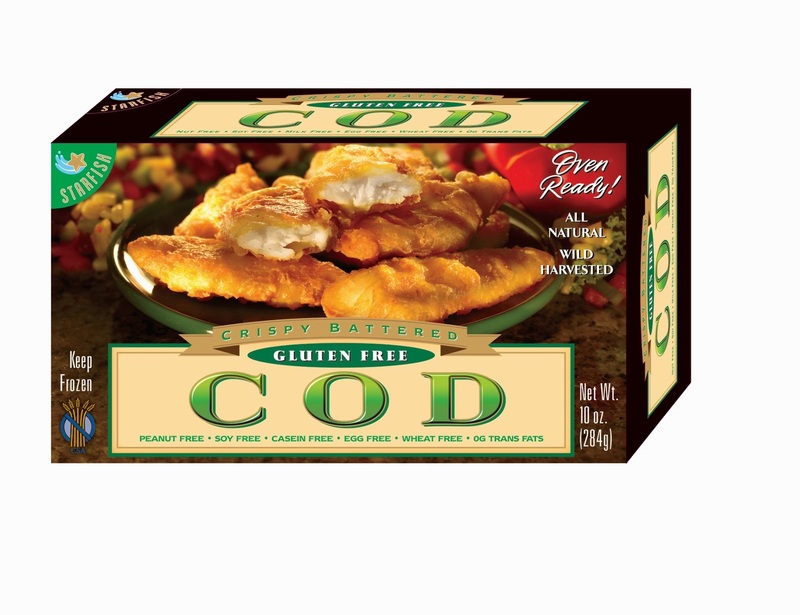 Domestic Apologist: Five Favs: Gluten free frozen comfort meals. I'm a replacement girl, though I went the no-replacements route for about a year. I felt great, lost 10 pounds and finally got that sought-after long and lean body. However, I found myself crying to my mother, sobbing "there's just nothing for me to eat! Except almonds. 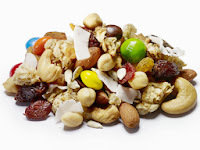 I eat so many damn almonds." 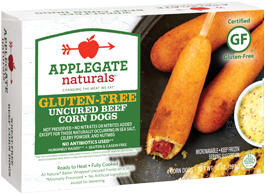 Then I got married and had kids, and now I'm writing a post about gluten-free frozen corn dogs. Whatever. So when Sean's out of town and I'm alone with the little people for dinner time, I have no patience for home cooking. I also have no patience for hauling two kids into a restaurant so I can grab take-out. Even though these favorites are pricey, they're still cheaper than the cost (both in dollars and energy) of dinner out. Let's crank the oven to 400 and pull one of these babies out of the freezer. Come to mama. Dogs without nitrites, antibiotics or fillers, all wrapped up in a slightly sweet corn batter. 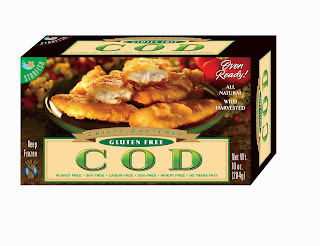 $6.99 for a box of four. 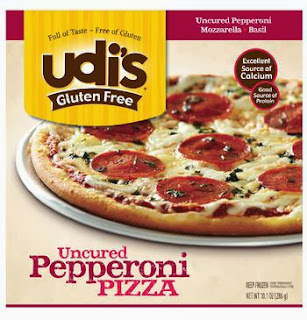 I've yet to find a better frozen gluten free pizza than Udi's, and blessedly, they're popping up more and more at local grocery stores. And the price isn't bad--$7.99, though it'd be a stretch to say it feeds two adults. But a tired mom and two toddlers with mini appetites? It does just fine. Sean once tried to pick out a frozen gluten free burrito at the store for me, and he picked one of the usual "rice/beans/cheese" suspects. No no, put that puppy back, said I. It tastes like, you know, a burrito. Oh, the horror, he said! That a burrito would taste like, you know, a burrito. 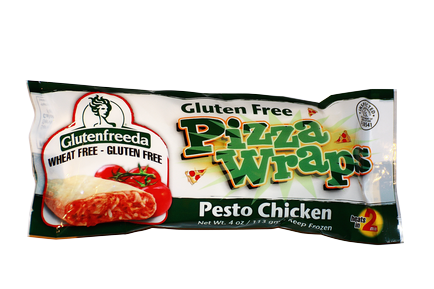 Enter the Pesto Chicken Pizza Wrap. All the chewy burrito texture and not a bean in sight. It's more like a frozen ravioli, really. They had me at pesto. $3.69 regular price, but often on sale for $2.50. I stock up. I bagged those bad boys, made Joseph pound it, and had everyone in my family eat them for dinner that night. And you know what I did the next day? Went and bought another bag. Because they were SO CHEEEEEAP. I've yet to find them anywhere except that little Walmart. As if I needed any more reasons to live in California. Here's the one exception to my bake it/eat it favorites list. These require the makings for fish tacos to be properly enjoyed, so they're not simply bake--dip in processed sauce--eat, like the others above. But these have made Fridays in Lent more enjoyable than they probably should be. 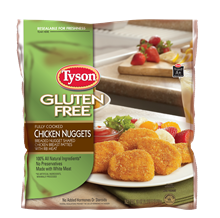 Prices vary greatly between store chains and sales, but I generally pay $6-7/box. So, go forth, heat and eat. You have my permission to give up the nuts and twigs, at least if your husband is working late. And head over to Moxie Wife to see how to kiss properly. Really! Come for the corn dogs, stay to watch the nightly treadmill show as mommy and daddy try to burn off the calories. :) Thanks so much Hallie!